The film has seen an upward trend despite stiff competition with the same day release Thackeray starring Nawazuddin Siddiqui and previous release movie – Uri: The Surgical Strike. Siddiqui starrer is a biopic of Shiv Sena founder Balasaheb Thackeray while Uri is also based on real incident which took place in 2016. Despite getting a slow start, Manikarnika has managed to cross the mark of 40 cr in the first three days at the box office. It has now become the biggest opener for Kangana. This film has collected majority of its moolah from Delhi-NCR, UP, Punjab, and Rajasthan. It has been released in three languages simultaneously – Hindi, Tamil, and Telugu. The flick shows the life story of Jhansi’s Queen ‘Rani’ Lakshmi Bai who was one of the key leaders in the Indian Rebellion of 1857. She has got herself in the list of key freedom fighters of India. 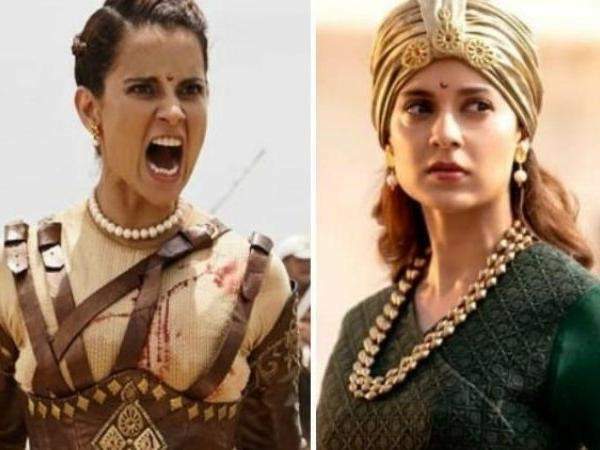 Upon its release, Manikarnika got mixed reviews from the film critics, but majority of them appreciated the star performances. Not only in India, Kangana’s film is faring well at the overseas box office too. From the international market, it has collected over $1.55 million (Rs 11 cr approx). Speaking of the 4th day collection of Manikarnika, then Monday business will be a key point for the film. After doing a very good first weekend collections, it need to fair well on day 4 too to emerge as a successful flick. Made on a big budget of Rs 100-120 cr, it needs to have a stronghold today. As far as its Monday occupancy is concerned, the film has taken a slow as the reports for the morning shows claim. It is obvious Monday being a normal working day. To stay in the race, Manikarnika’s Monday collections should stay close to the Friday numbers, ideally. Overall, the film faced a 40% drop from Sunday and minted Rs 5.25 cr only, making Rs 47.80 cr in 4 days. It has faced a drop of around 15-20% compared to Friday. Moreover, the business will be dropped due to the reduction of ticket prices.